Speaking of stars, did you know that this year, a high school student from the Appalachian foothills of Rowan County, Kentucky discovered a star? And even more exciting...he's apparently the third student from Eastern Kentucky to have discovered a new star! You can read all about it here. Makes you kind of proud to have those Appalachian roots, doesn't it? Hats off to the educators and students in Appalachia! So, are you ready for Christmas? Sometimes it seems like Christmas takes a great deal of preparation and a great deal of hustle and bustle...but isn't it worth it when you see the excitement of the season reflected back to you in the eyes of a child? 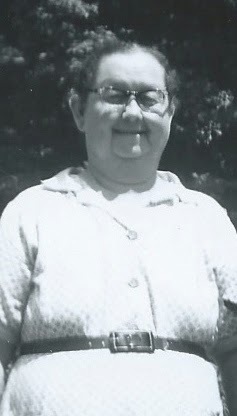 When I think about prepping for the Christmas season, I can't help but remember stories I've been told about my granny from Eastern Kentucky. You see, Granny absolutely LOVED Christmas. She and my grandad were so poor that they never owned their own land. They had eleven children, and making ends meet was a challenge. But this didn't stop Granny from sharing the love and wonder of Christmas with her little ones! To make extra money for Christmas, Granny would go out into the woods on the hillsides to forage and gather black walnuts. Granny foraged for her black walnuts in the woods on the hillsides. She would bring them home, crack them, then take them to the store to sell. I've been told so many times that she would often be cracking black walnuts for so long that her fingers would begin to bleed. But this was a labor of love for Granny. She always managed to have at least a small gift for each of her children. My dad, her son, says that sometimes it would be no more than a plastic comb or rubber car...but there was always something. She took so much joy in blessing her children. And Granny always made special treats to eat for Christmas as well. In the days before Christmas, she would start making candy...good old fashioned Appalachian Christmas fudge. Then, on Christmas Eve, all of them would gather around the fire together, sometimes popping popcorn, enjoying the fudge and each other's company. It was a simple way to celebrate Christmas, but it fostered such special memories for all of Granny's children. So this year, amidst all the preparation and hustle and bustle, I did something simple and special in honor of my granny. I wanted to make a seasonal treat with black walnuts, in memory of all those times Granny spent cracking open black walnuts out of selfless love in those hills so long ago. I came up with a very easy sweet which I have dubbed "Granny's Appalachian Christmas Bark with Black Walnuts and Shortbread." 'Cause this time of year, we all could use a little something easy to prepare, right?! And as for the shortbread, my granny had some very strong Scottish roots so I thought adding that particular cookie (a Scottish dessert) would be an appropriate touch. Here's how I made it...hope you'll give it a try this Christmas! The beauty of it is...all you need are three ingredients...white chocolate chips, black walnuts, and shortbread cookies. Now, I will tell you, depending on where you live, black walnuts can be a challenge to find. If you are lucky enough to have a tree, or know someone who does, then you are probably all set. But if you don't, most run of the mill grocery stores aren't generally going to carry black walnuts on a regular basis. My mom and dad still forage and gather black walnuts, but didn't have any that were ready for cracking at the time I fixed this...they usually need to dry out a bit before cracking. But luckily, I was able to find some black walnuts at a nearby small specialty foods store. If you can't locate any in your area, no need to fret, you can order black walnuts online from Hammons Black Walnuts. They are located in Missouri, but get their black walnuts from suppliers across several states in the midwest and eastern portion of the country...including some in Appalachia! First, to prep for the recipe, you want to chop your black walnuts...unless you are like me and have found some that are already in appropriate pieces. This is the size I used for my black walnut pieces. You can chop them to whatever size suits your taste. You could use a nut chopper, or you can just rough chop them in a pile on a cutting board using a large knife. I ended up with a rounded cup of black walnuts. Oh, and don't put that cutting board away just yet, because then you will want to rough chop your shortbread cookies. I used one whole sleeve of Lorna Doone shortbread cookies, but any shortbread cookie would work...and you could even use Vanilla Wafers in a pinch. Any way you slice it, you want a mild flavored cookie to contrast with the sharpness of the black walnuts. And if you've ever eaten black walnuts, you know what I'm talking about! Totally different from English walnuts! Then line a large baking sheet or pan with wax paper. I used a 10 x 15 rimmed baking sheet. Next, place the white chocolate chips (I used two 12 oz. bags of Nestle's White Chocolate Chips) in a medium-large microwave safe bowl. In the microwave, heat the white chocolate chips at 70% power for 2 minutes. Stir the chips. Then microwave for 30 second intervals, stirring the chips again between each interval until melted. Be careful not to overheat. Now you can use a double boiler to do your melting as well, but I've just never had the patience to fool with one. As soon as your white chocolate chips are melted, quickly dump your walnut pieces and chopped shortbread cookies into the melted white chocolate. Give it a few quick stirs to thoroughly coat the nuts and shortbread in the chocolate. Then carefully pour the mixture out onto the wax paper lined baking sheet. Spread the mixture out a little with the back of a spoon or a spatula until you get a nice "thinnish" layer. Now, you can leave it out at room temperature to set, or you can hurry the process along in the refrigerator. When thoroughly cool and set, break the bark into whatever sized pieces you would like. I ended up with around 40 small pieces of bark. You can cut the bark with a table knife or break it apart by hand when it has set. Once broken, you can store your bark in an airtight container at room temperature for several days, or in the refrigerator if you would like to keep it a little longer. The full recipe is below and you can click here for a printable version. Line a large baking sheet with wax paper. In a medium-large microwave safe bowl, microwave the chocolate chips at 70% power for 2 minutes. Stir, then microwave at 70% power for 30 second intervals, stirring in between each interval until the chips are melted. (All microwaves vary, so times may need to be adjusted.) When melted, add the black walnuts and chopped shortbread cookies to the white chocolate. Stir to coat. Pour the mixture on the wax paper lined baking sheet and spread with a spoon to get a thin-like layer. Allow the bark to set in the refrigerator or at room temperature until hardened. Break into desired sized pieces. Store in an airtight container. Yummy! I love the contrast of flavors in this recipe. The sweet white chocolate and mild buttery flavor of the cookies really compliment the "snappiness" of those black walnuts! Wish my granny could have tasted it! She certainly deserved a treat for herself after all the selfless things she did taking special care of her 11 little ones in the mountains so long ago. Speaking of little ones...if you need a gift idea for a little girl in your family this year, I've got an idea for you! Remember those Cabbage Patch Kids dolls from the 1980's? ...yep, they are still making them. You can find them in most toy departments. But did you remember that they have a connection to Appalachia? These sweet little dolls hail from the Appalachian mountains of North Georgia, and you can read all about the adorable little legend behind the dolls here. Find a kid to read it to…it's cute! I love that the dolls are affordable and that they have a history of popularity. But most importantly…this is a brand that is proud of its Appalachian origins, and not afraid to declare it. I purchased one this year, and hope you'll join me in supporting this brand that proudly connects itself with Appalachia. There are a lot of good things coming out of those mountains…and I believe this is one of them! In the meantime, I am praying that your Christmas season is a blessed one, filled with the wonder and joy of that special birth announced by a star. And my hope is that each of us, like my granny, will take a little time to do something selfless for others this season. Whether it is giving of your time and love to a little child, just as Granny did years ago cracking those black walnuts in her little mountain home, or if it is giving to those that are in need and lonely…may we all find some way to spread a little hope and down-home goodness to a world that could really use it. Merry Christmas to you and yours…and hope to see you back here next year!